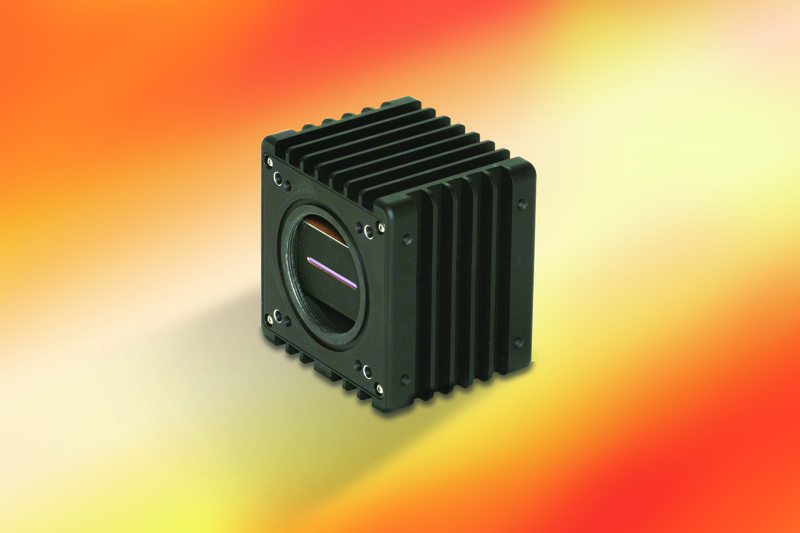 Sensors Unlimited – A part of Collins Aerospace introduces their new Compact, InGaAs SWIR Line Scan Camera for Machine Vision, Sorting, & Solar Inspection. The 1024LDM line-scan camera features high resolution, 1024-pixel imaging in the shortwave infrared (SWIR). Its square pixels are ideal for inspection of polished silicon blocks, ingots, or wafers, hot glass bottles, and for use on continuous-process lines that apply transparent coatings which can be ‘seen’ in the SWIR spectral region. In solar applications, the new indium gallium arsenide (InGaAs) line-scan imager detects cracks, occlusions, inclusions, and mis-alignments before further processing, eliminating the waste and expense of manufacturing defective solar wafers or cells. Other applications include high-speed imaging of free-falling molten glass, fast absorption or emission spectroscopy for combustion research, moisture, lipids, proteins, or other molecular vibration bands in the SWIR, and on-line sorting of agricultural materials, food products, recycled plastic pellets, and pharmaceutical products.